Colt – Manufacturer Unknown – Circa 1930s. 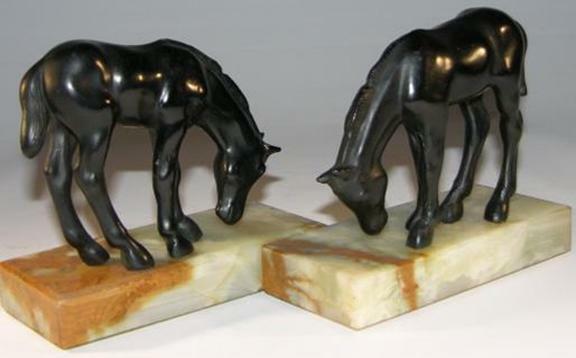 Ebony finished gray metal on beautiful deep-veined marble base. Measures 4-1/2” high x 5” wide x 2-1/4” deep. Weighs 3-1/2 lbs. the pair. Felt on bottoms. Minor blemishes to finish. Very elegant in great age appropriate condition.